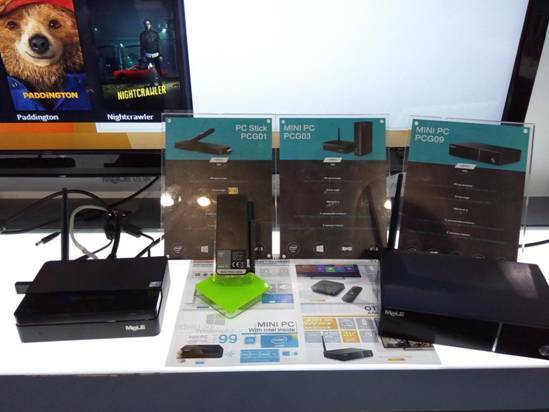 In this fair, besides the first Fan-less Mini PC with the Genuine MS Window 8.1 and Intel Quad core processor inside launched during CeBIT 2015 last month, MeLE took one step further by dramatically reduced the size by over 90% and brought to the show the latest Fan-less PC Stick, an Ultra small form factor true PC stick in the world, which also have Genuine Window 8.1 for PC-on-stick and Intel Quad core processor inside, support up to Dual Band Wi-Fi 802.11n with both 2.4GHz/ 5GHz via enhanced external antenna for much stronger signal strength as compare to previous generation dongle products. These pocket-size WINTEL PC stick with improved heat dissipation and speed is really an amazingly technology evolution result from last generation product. MSRP. from US$139 for Windows 8.1 pc-on-stick version pre-loaded. 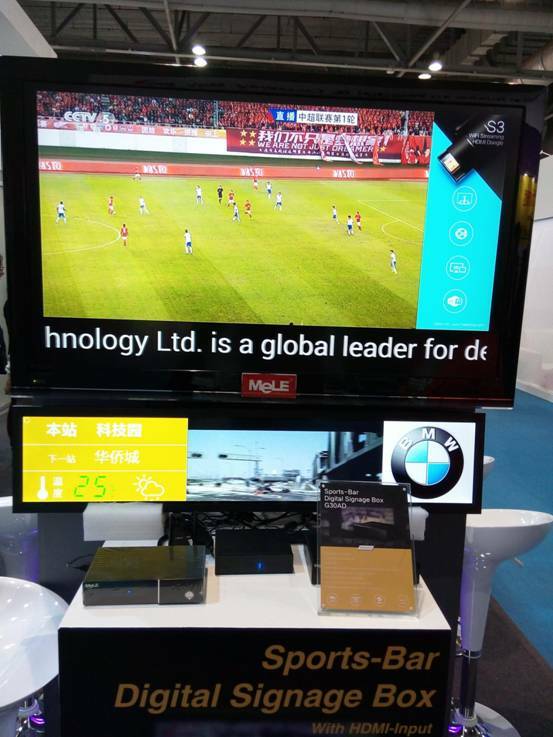 4K Digital Signage box can achieve the 4K Ultra High Definition and also support external set-top box video source with HDMI. MeLE is especially developing both Wi-Fi Local version and AWS Cloud based version which helps to realize worldwide implementation in one day. 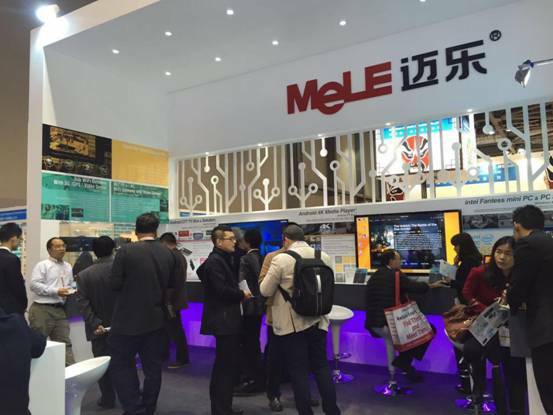 Shenzhen MeLE Digital Technology is a global leader of internet High-definiton and system solution provider. MeLE advanced products are sold in over 80 countries and regions in the world.